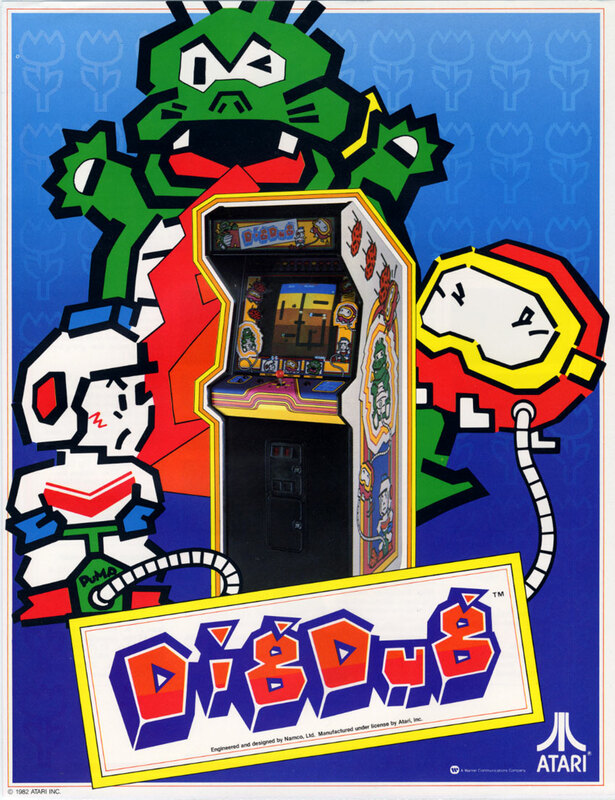 Dig Dug was produced by Namco, and was distributed by Atari in the US. 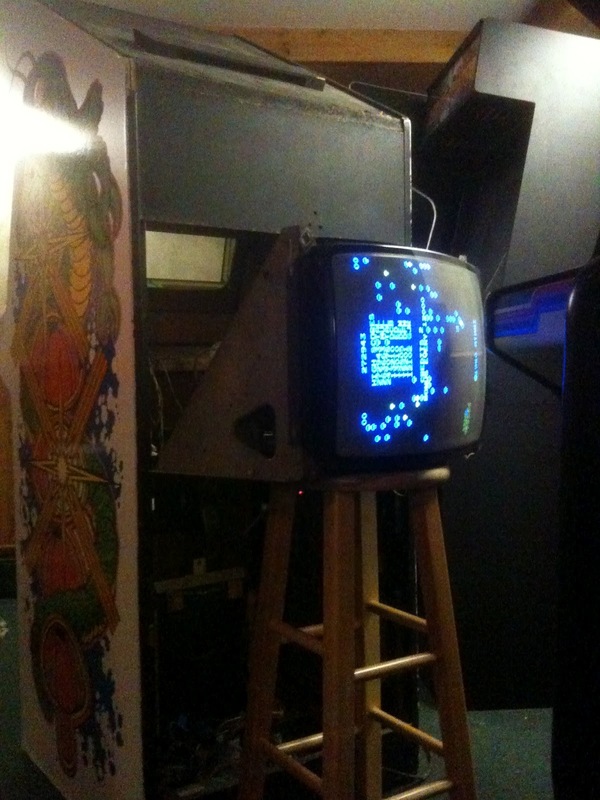 Dig Dug is essentially a maze game where you can dig your own path. Your characters name is Dig Dug and you battle Pooka's and Fygar's. 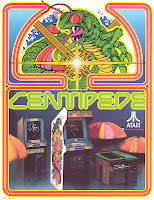 The enemy characters have the capability to float through the maze and Fygar's can breathe fire. Dig Dug can destroy the enemies by "pumping" them up until they explode. Also a way to earn a massive amount of points is by using a boulder or a rock and having it fall down on multiple enemies. On the levels you are also given a bonus item which also results in points. You can partially pump an enemy and than walk through them, this helps build up chances of combining enemies and flattening them with a rock for multiple points. Each round gets completed once all the enemies are destroyed or if they escape. Not really much to say about my game other than I bought it at an auction locally at the same time I bought my Circus Charlie. I bought it because the price was right and the monitor was bright and crisp and had a cap kit recently done to it. 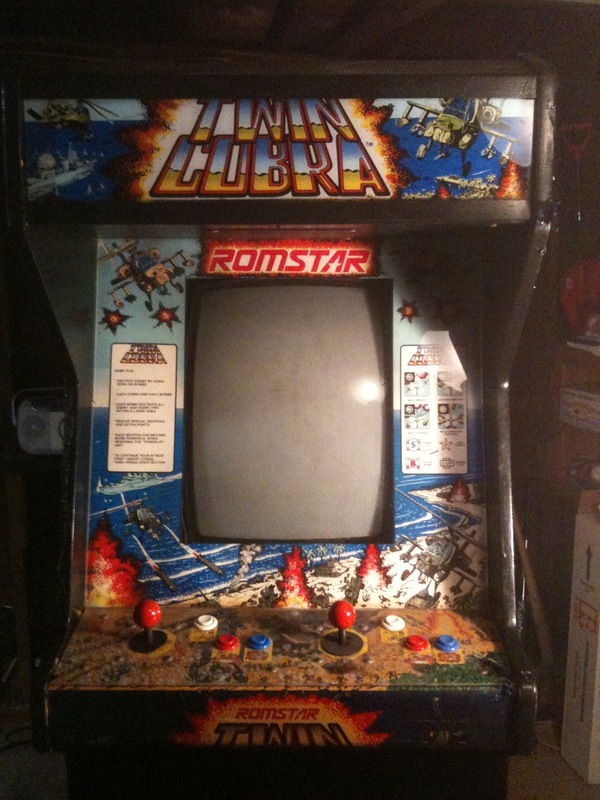 It was however missing the glass bezel when I bought the machine. 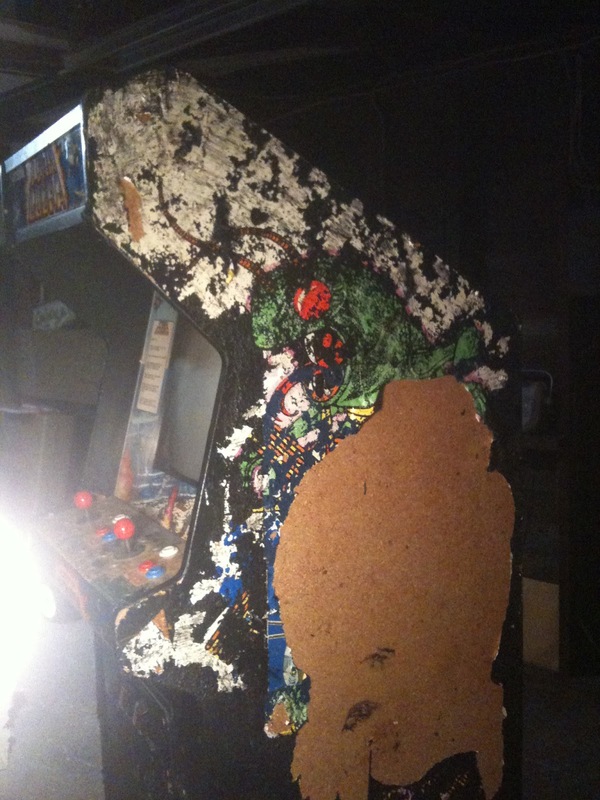 A member on BYOAC was looking to MAME a Dig Dug cabinet the guy was in TX and was hesitant about sending the glass bezel because he didn't want it to break during shipping, but I received it with no problems. 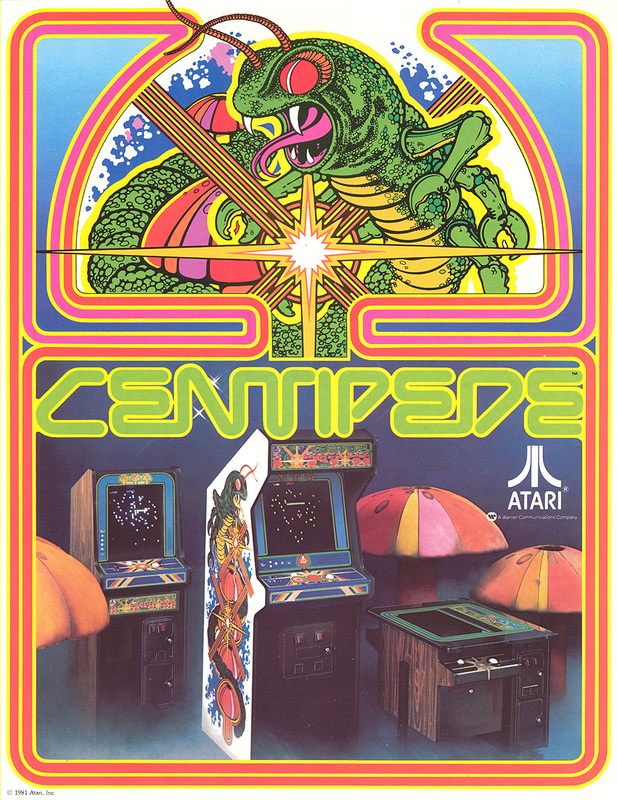 I went onto mikesarcade website http://www.mikesarcade.com/arcade/artwork/ataricoin.pdf and printed out Atari Coin Door Inserts which look pretty neat. 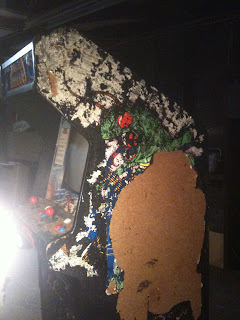 Below is a picture of my Dig Dug cabinet. In terms of restoration I really didn't do much with this game, I think to date it's likely the least amount of money I've ever put into a game. But it still plays and looks fantastic. Dig Dug certainly has it's fan base, many ports throughout various consoles along with mobile versions of the game still exist today even after 30+ years It's still a very popular game today. 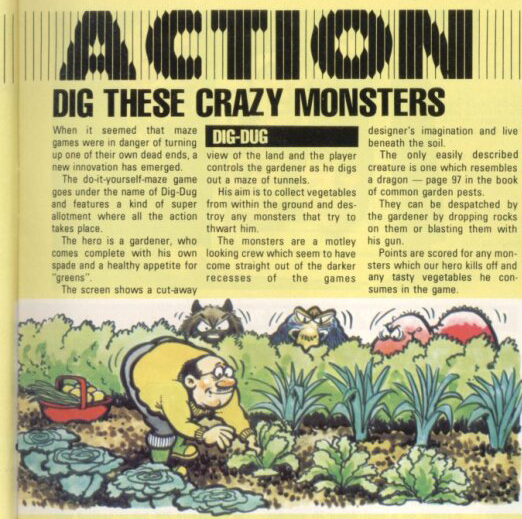 Here is the review for Dig Dug, from the June issue of Computer+Video Games from the year 1982.